At The Art Institute of Pittsburgh - Online Division, we want to ensure that you receive all the benefits of being a student that you would at any college or university. One way that we are able to do that is by offering students the opportunity to get a student ID. A student ID can be very beneficial in several ways. First, we want you to feel connected and proud to be a student. You can consider your student ID as a "badge of honor" and proudly carry it with you during your program and after graduation. Secondly, our country, cities, and local communities recognize that individuals who are students need a helping hand every once in a while. A student ID can possibly open up some opportunities to you in the way of assistance or discounts at local establishments or organizations. We encourage all of our students to get a student ID and explore the benefits that you may be able to receive from it. Ordering your student ID is a fairly easy process. You will need to submit a picture of yourself, along with some personal information. Please submit your request with attached photo to the following address: aipodidrequest@aii.edu. Once we have received the above, please allow 3 business days for processing plus mailing time to receive your new ID card. The latest version of our app not only makes it easier than ever to access your classroom on the go, but also helps you to stay on top of important dates and information! • View current and past grades and classes. • Check upcoming assignments and add them to your phone's calendar. • See campus news or class announcements. • Read and respond to discussion questions. • Sign up for academic and financial reminders. • Call or email important school contacts with one click. When you first access the app, you’ll enter your username and password and then create a 4-digit PIN. After this initial use, you’ll only be required to enter your PIN. Of course, our mobile won’t replace your computer, which you’ll still need to attend class and work on assignments, but it can be an extremely helpful back-up tool to have. Adobe Creative Cloud / The Creative Cloud- What is it? 1. Students will need to create an Adobe User ID as part of the registration process. This log-in will be required to be used each time you access the Creative Cloud and its features. 2. Be sure to use a valid email address as Adobe will require new users to validate their email address. 3. One of the features of the Creative Cloud is that you can have Adobe software installed on two devices, on any platform at any time. 4. Students will be given 20 GB of storage space to use to store and share files on the Cloud. 5. The software titles on the Creative Cloud will still need to be downloaded to your device as the Cloud does not have streaming capabilities. 7. If you are utilizing the software voucher as part of your financial plan, these will not be issued until the first week of your regular class. 8. Students will always have the most up to date software versions by using the Creative Cloud. Additional material requirements can be found by accessing the Course Home in each of your scheduled courses under the Description and Requirements section. Disability Services / Where do I begin the disabilities process? In order to maintain compliance with The American Disabilities Act and Section 504 of the Rehabilitation Act of 1973, the Art Institute Online provides accomodations to qualified students with disabilities. Disability services can be reached by telephone at: 877-872-8869, ext. 33000 or via email at aiods@aii.edu. The Art Institute uses the MLA academic writing style for all coursework. MLA writing takes time and practice, the more you utilize it in your academics, the more second-hand it becomes. Please visit Purdue University's Writing Lab website to help in the understanding of the requirements of the MLA format. As a student at The Art Institute of Pittsburgh – Online Division, you are required to have certain hardware and software in order to complete your program. While you are not necessarily required to meet all listed requirements at the start of your program, the Tech Check helps to prepare you for both current and future course requirements. Please complete the two-step Tech Check process below. If you have any questions or concerns, please contact a member of your Graduation Team at 1-877-872-8869. Tutoring services are available to all active students. There are no restrictions on the amount of time students can use the tutoring services. How do I join Skype? 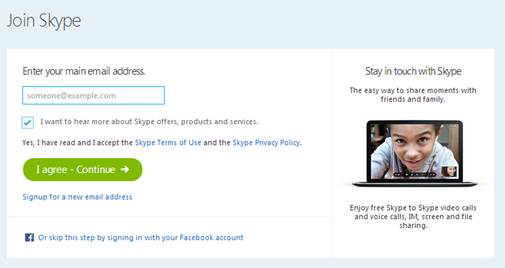 If you’re new to Skype, it’s really easy to get started by signing up with a Microsoft account. 1. Go to the Join us page. 2.Enter the email address you want to use, then click I agree - Continue. 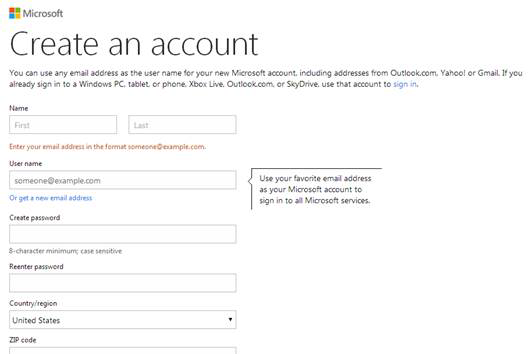 3.If you already have a Microsoft account for the email address you entered, skip to step 7. Otherwise, the Create an account page appears. 4.Enter your name, password, and other account security and profile details, then click I accept. 5.You'll be sent a link to validate your new Microsoft account via email. Important: You must validate your new Microsoft account by visiting the link you'll be sent via email; otherwise, you will not be able to proceed with Skype. If you don't see the email in your inbox after you've completed the sign-up, check your junk and spam folders. 6.If you already have a Skype account at this email address, you'll be prompted to link your new Microsoft account to your Skype account. 7.You’ve joined Skype and you’re signed into your Microsoft account. From here you can download Skype for your device, edit your information and lots more. 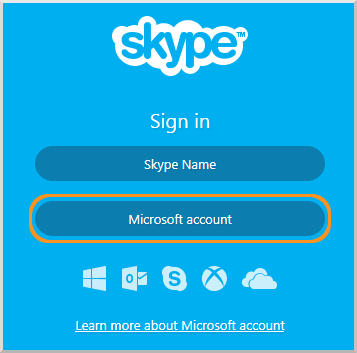 Important: Make sure to choose the Microsoft account option when you sign into Skype on your device.